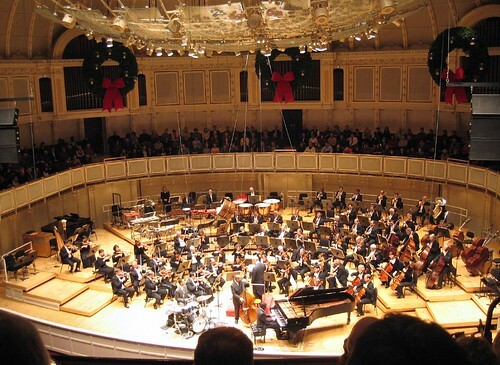 (blind) Pianist Marcus Roberts, drummer Jason Marsalis and bassist Roland Guerin performed George Gershwin's Rhapsody in Blue with the Chicago Symphony Orchestra to a packed house at Symphony Center. Both the acoustics of the room and our seats were amazing, not to mention Roberts' piano cadenza after the first bird's eye. It was an amazing experience.